This year we welcomed Sarah Kenealy, manager at ocean beach ibiza’s newly renovated boutique which is now twice the size! 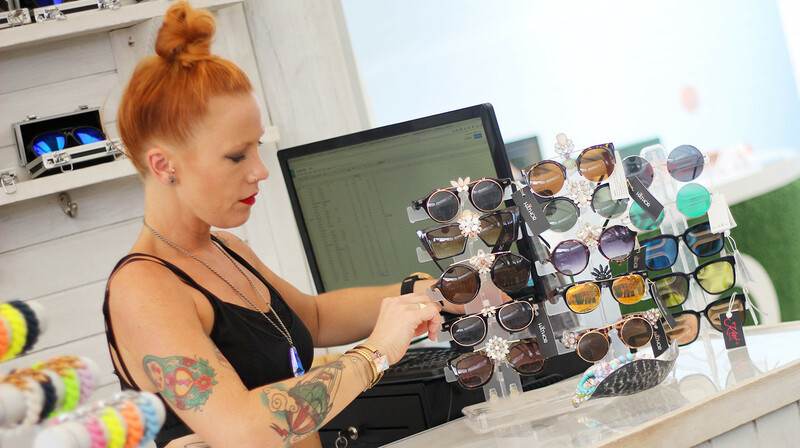 the boutique Offers bespoke and exclusive selections from international and on island designers such as dancing leopard, urraca vintage & more! So WHATS THE BEST SELLER SO FAR THIS SEASON? NATASHA KIERANS BACKLESS DRESSES ARE REALLY POPULAR! PEOPLE LOVE THEM ! ESPECIALLY THE LOCALS! And what is your favorite piece in the boutique this summer ? My favourite piece is the genie jumpsuit by dancing leopard! they’re really comfy and versatile, you can dress them up or wear them casual! and they’res tons of different colors and patterns to choose from! What do you think is this years ibiza craze ? i would say JEWELED sunglasses! i’m seeing them quite a bit! we have some in the boutique by a local brand called ‘hathor’! i absolutley love them, so much that own about 5 pairs ! Sarah wearing Urraca Vintage bracelet. what do you think represents ibiza style ? It seems really cliche but whenever i think of ibiza style hippy / boho chic springs to mind ! And what about your style, what inspires you? I would like to think that i don’t have one particular style as i do dress COMPLETELY different everyday. It just depends on how I feel when i wake up. I can’t really specify, it’s quite a difficult question. I am inspired by different designers and their styles ! But i am a big Vivienne Westwood fan ! Lastly. Who is your celebrity style icon ? Gwen Stefani! I love her style, always very alternative but still glamorous! 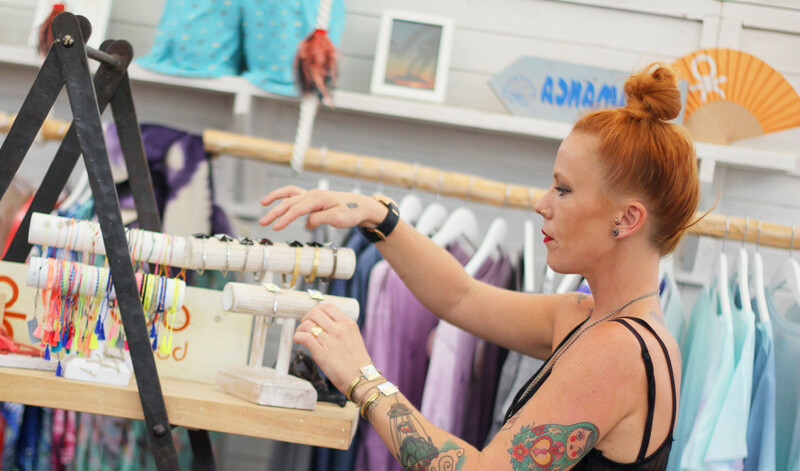 Make sure to drop by and see sarah at the ocean beach ibiza boutique for all sorts of wonderful treasures!